NouJi Creations: 5 steps to let your red lipstick last longer! 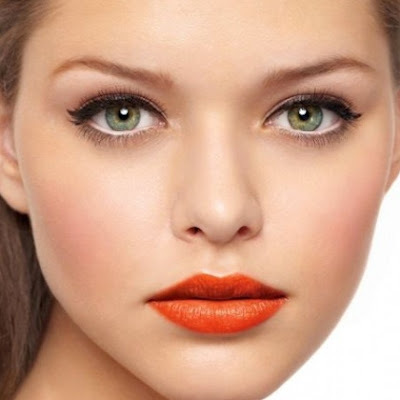 The secret of setting your red lipstick is a combination of preparation and application. Here are 5 steps to keep your lips into place. Use a lip scrub to exfoliate your lips (like lush lip scrub in bubblegum) to ensure there are no flaxes of dead skin renting out space on your pout. Use a beauty blender to pat a little foundation over your lips to cancel out lips’ natural pink. Place a tissue on your lips then dust a translucent powder over your lips with a powder brush through the tissue. This sets the color, without depositing a layer of powder finally apply a bit more lipstick on top. Tip: to avoid having lipstick on your teeth, after applying your lipstick, put your finger in your mouth and close your lips around your finger. this should get rid of any lipstick hiding on the inner part of the lips before it makes its way to your teeth.